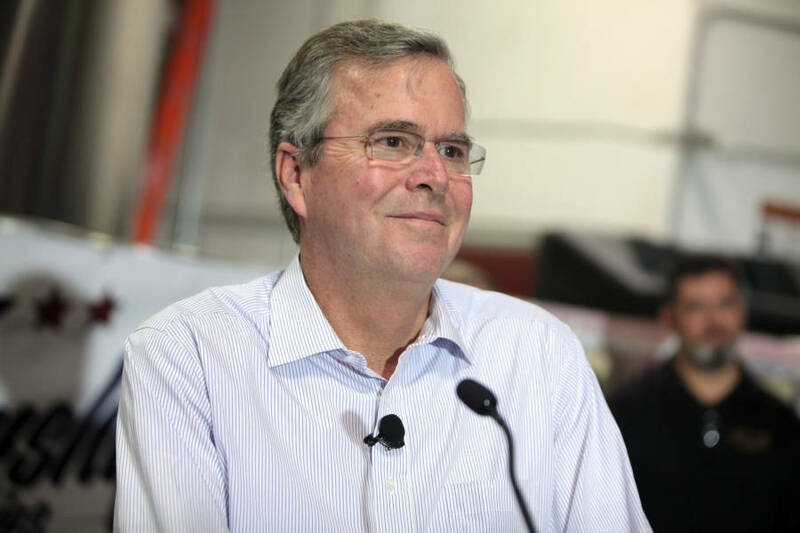 Presidential candidate and former Florida Governor Jeb Bush unveiled his plan Friday, which would eliminate the federal food stamp program and the Temporary Assistance for Needy Families program — replacing them with “Right to Rise” grants directly to states so they can develop programs particular to their residents. How do you get rid of federal welfare while still claiming one has a “right to rise”? What is a “right to rise,” and what does it depend upon? Let’s say I have a right to a new car. Or a right to a college education. Or a right to food stamps. It does not matter which particular right I claim. In every case, I’m relying on someone else paying for it. Do I have a “right to rise” on your time, money and back? Do you have a right to rise on mine? But if there is such a thing as a right to rise, then how does he justify getting rid of the food stamp program? In fact, if we all have a right to rise, the government should spend even more on food stamps, and everything else, in unlimited amounts. This is exactly what has been happening, under both Democratic and Republican regimes. The only way to get rid of welfare – and I mean all welfare, corporate as well as personal – is to reject the idea that there’s a right to rise, i.e. a right to enjoy success or even survival, on the backs of others. These rights do not imply an obligation on another to provide them. If you’re starving, I’m free to help you – but I am not legally obliged to do so. The same applies if I’m starving. The moment a government steps in and says one citizen must, by compulsion, provide for the needs of another citizen is the moment the government has turned one individual into the legally compelled servant of the other. That’s what slavery is. And we wonder why there’s so much waste, fraud, abuse and arrogance with our vast entitlement state. How could it be otherwise, the moment you introduce such coercion and compulsion? Nobody seems willing to say it, but it’s true. And until a majority of people face up to this fact, we’ll continue to have meaningless proposals from ultimately meaningless politicians like Jeb Bush, proposals which (even if enacted) will not change a thing. Charity is a perfectly fine and reasonable thing, when voluntarily done, and when helping people who suffer through no fault of their own. But charity is not a right. So long as a majority of us keep insisting it is, then the economy will continue to flounder, self-responsibility will continue to diminish, and in the bigger picture everyone will end up suffering more. The former governor told Newsmax that, while the War on Poverty launched in the 1960s initially raised living standards for low-income Americans, the poverty rate has not dropped since around 1970. Try something different? How is Bush’s proposal different? Bush’s proposal merely reinforces the false idea that government has a right to force some to be the keepers of others. He wants to pass it off to the states. It will never happen, and he knows it. If Jeb Bush became president, even with a Republican Congress, they will almost certainly end up spending even more on welfare (corporate and individual), just as happened on his brother’s and father’s watch. Why? Because so long as you refuse to challenge the underlying, false idea that government should be distributing wealth in the first place, you’re going to get more of the same. Dr. Michael Hurd is a psychotherapist, columnist and author of "Bad Therapy, Good Therapy (And How to Tell the Difference)" and "Grow Up America!" Visit his website at: www.DrHurd.com.